An exciting day at the salon as I welcome a guest post from the fabulous Jacqui Reiter, with the tale of John Pitt, 2nd Earl of Chatham. 'The young Earl of Chatham took the oaths and his seat in Parliament on Thursday last. His Lordship was dressed in his regimentals ... and presented a very elegant, manly, and graceful figure'. The young man drawing the eyes of the London Evening Post's reporter in July 1779 was John Pitt, Second Earl of Chatham, eldest son of William Pitt the Elder. A military man by profession, freshly returned from a year in Gibraltar, the twenty-two year old Earl of Chatham was an object of much curiosity. Would he live up to his famous name? History has not been kind to Chatham. He is mainly remembered for the disastrous expedition to Walcheren in 1809, which he commanded, and 'clinging like a limpet' (in the lovely words of Richard Glover) to office for twenty-two years. He was proverbial for his indolence, nicknamed the 'Late' Lord Chatham. 'Of the talents attributed to him by flattery, he has exhibited no proof,' recalled Sir Nathaniel Wraxall. 'I believe, he never opened his lips in the house of peers, since he first took his seat in that assembly. 'Unsurprisingly there is more to Lord Chatham than this. He was born at Hayes, Kent, on 10 October 1756. 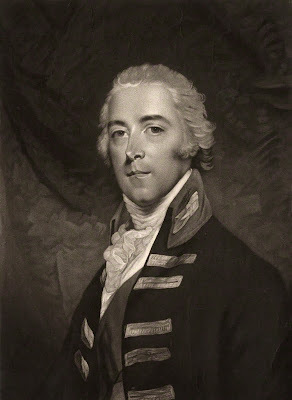 He entered the army in 1773 and served as Sir Guy Carleton's aide-de-camp in Quebec, but resigned his commission in protest against the war with America. He rejoined in 1778 shortly before his father died and spent four years in Gibraltar and the West Indies. 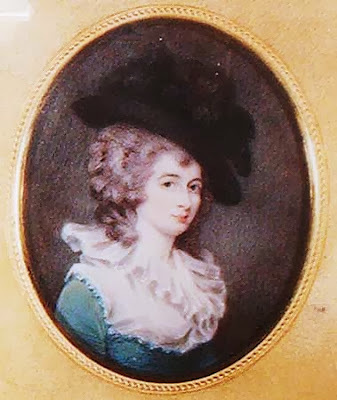 A year after returning John married Mary Elizabeth Townshend, Lord Sydney's daughter. It was a happy marriage, although the couple had no children. 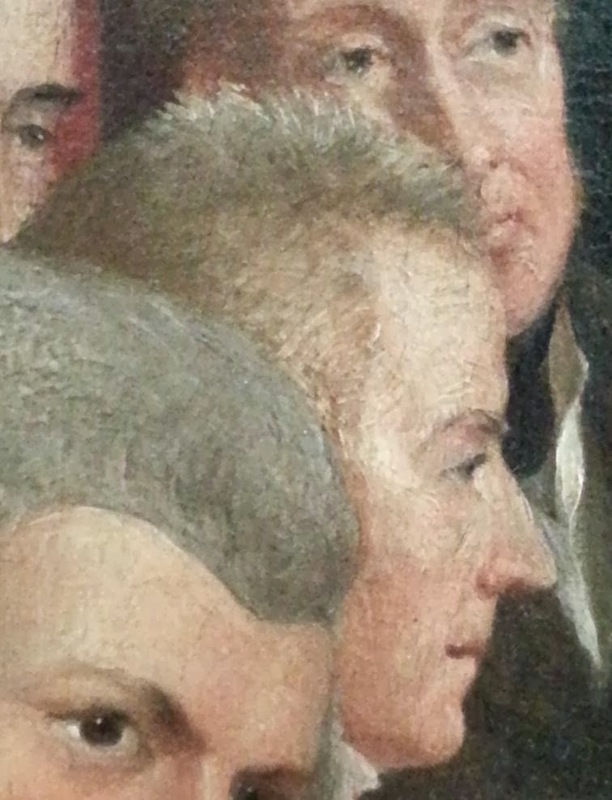 In 1783 Chatham's 24-year-old brother William became prime minister. Chatham's initial reaction to the news was negative: his 'mind was not perfectly at ease on ye subject', but he stood by his brother nonetheless. To his credit Chatham never resented Pitt's spectacular career. His continued loyalty and lack of jealousy towards Pitt, even when estranged, is one of the more attractive features of his character. By 1788 Pitt wanted to replace the cantankerous First Lord of the Admiralty, Lord Howe, and persuaded Chatham to take the post. The appointment of a military man, the prime minister's brother no less, to a naval department raised eyebrows. 'I have had my doubts whether the public may not think this too much like monopoly,' Pitt confessed, 'but that doubt is not sufficient to counterbalance the personal comfort which will result from it and the general advantage to the whole of our system'. Chatham's record at the Admiralty was undistinguished, although arguably given Pitt's lack of interest many much-needed reforms would have fallen by the wayside anyway. Chatham did patronise many men who later came to prominence, among them Edward Pellew and Horatio Nelson. Despite accusations to the contrary he regularly attended Admiralty Board meetings, and when he was ill for two months in 1791 the newspapers noted his unusually long absence: 'His Lordship has not attended the Admiralty Board this fortnight'. Rumours of his indolence were rife but exaggerated: 'Lord Chatham is an earlier riser than is reported. The Letters are regularly sent to him about 1/2 past eleven o'clock'. Overwhelming zeal was not the word, but neither was incompetence. When war with France broke out in 1793 Chatham was one of the ministers blamed for the failure of the allied expedition to Dunkirk. Pitt moved his brother to a less arduous department, effectively kicking him upstairs to the Privy Seal in December 1794. Chatham was convinced the change would confirm his reputation for sloth and incompetence. 'The mischief done me, is irreparable,' Chatham wrote, 'and tho my Brother ... must ... regret the step ... he can never set it right'. Their rift was only patched up when Pitt appointed Chatham Lord President of the Council in 1796. Pitt has been criticised for maintaining his brother in office, but Chatham's value in the cabinet went beyond the post he held. Chatham was no orator but he was a useful businessman. He did not shirk the less pleasant (and less visible) duties of a cabinet minister. To pick only two examples he served on the committee on the Regency Bill in 1788, and in 1799 tabled various procedural motions during debates on the union with Ireland and presided over several inter-parliamentary committees. Military affairs were his unofficial brief. In 1798 he returned to the army, having been promoted to Major-General three years previously, and in 1799 he saw active service in Holland. For a while he was virtually the only member of the wartime cabinet with direct military experience. Chatham was much more of a courtier than Pitt and rarely missed a levee or drawing room. He achieved the possibly unique feat of befriending both George III, who bore 'the warmest affection for him', and George IV, who called him 'my dear friend'. This association with the Court gave Chatham a value independent of his position as the prime minister's brother. The frequency with which his name came up in the 1800s as a possible prime minister reflected his position at Court as much as his famous name. Chatham remained in office under Henry Addington after Pitt's resignation in March 1801. After a cabinet reshuffle in October Chatham moved to the Board of Ordnance. When Pitt returned to office in 1804 he kept his brother on in that capacity. Pitt's death in January 1806 came as a shock to Chatham. 'I think Lord Chatham is far less aware of Mr Pitt's situation than any other person', wrote the Bishop of Lincoln before Pitt died. Chatham served as Chief Mourner at his brother's public funeral. The government fell shortly afterwards and Chatham was out of office for the first time since 1788. He was not away for long, however, and was reappointed to the Ordnance under the Duke of Portland in 1807. There was some talk then, and afterwards, that Chatham might take the Treasury due to Portland's poor health, but Lady Chatham's continuing illnesses-- and probably Chatham's reluctance-- kept him at the Ordnance. In 1809 Chatham was chosen to lead the amphibious assault on Walcheren to destroy the French fleet at Flushing. He commanded the largest expeditionary force Britain had yet fielded in the war. Unfortunately the campaign was a disaster. Partly due to poor communication between Chatham and the naval commander, Sir Richard Strachan, the army made slow headway and the French withdrew their fleet to Antwerp. A large proportion of the British force succumbed to malaria and Chatham was recalled in disgrace. His appearance before a parliamentary enquiry did him no favours, particularly when it emerged that he had presented the King with a private memorandum which ought to have gone to the Privy Council first. Spencer Perceval's government withdrew its support from Chatham and he was forced to resign from the Ordnance. He did not serve politically again. His military career henceforth remained ceremonial, although he was promoted to full general in 1812. After 1810 Chatham kept a low profile. He was appointed Governor of Gibraltar in 1820 but did not go out until after his wife's death in 1821. He remained there until June 1825 when he returned to Britain, probably due to poor health: his weight, recorded by Berry Brothers and Rudd in August, was 9st 10.5lb fully clothed, more than two stone lighter than he had been in 1821. In 1831 his health suffered a collapse, but he lingered on until his death in Charles Street, London, on 24 September 1835. He was 78 and outlived his brother William by more than twenty-nine years. He was buried in the family vault at Westminster Abbey. There is no doubt that he was massively overshadowed by his father and brother, or that he owed his stature in public life to them. He was no fool, however, and his advice-- particularly on military matters-- was valued. Lord Eldon's description of him as 'the ablest man in the cabinet' has been overquoted, but it is a telling judgment. Lazy Chatham might have been, but he was an intelligent, experienced politician and much more than just Pitt the Younger's older brother. It is a shame that his reputation was so affected by Walcheren that we remember nothing else. For Walcheren see J.W. Fortescue, History of the British Army VII (1914); Gordon Bond, The Grand Expedition (1979); and Martin R. Howard, Walcheren 1809 (2012). Written content of this post copyright © Jacqui Reiter, 2013. Great post, Jacqui. Good to see you spreading the word about John! It's true, he is criminally ignored! Enjoyed this post a lot, another person brought out of the shadows, especially with the pictures. Jacqui's blog has lots of information on John, I heartily recommend it.